Following on neatly from my recent post Riding for a Fall, I’ve recently been following the case of Kara Goldsmith, a 39-year-old mum from County Durham, which set me thinking about the topic of responsibility and liability. I’ve only seen reports of the case in the Daily Mail and the Telegraph, and there’s not a lot of detail. Briefly, Mrs Goldsmith went to try a horse called Red, who was being given away free as his previous owner had had a fall and lost confidence in the horse. After riding for 20 minutes, Red apparently reared straight up then bucked violently until Kara fell off. The incident that turned this case into a media event, rather than an unfortunate accident, was that Red’s hoof caught Mrs Goldsmith’s face in the process. Her injuries meant that she had to undergo multiple operations to rebuild her face, and has been left with nerve damage and ongoing pain. She subsequently tried to sue the horse’s keeper, Bradley Patchcock, on the grounds that the horse’s behaviour was abnormal and unforeseeable. The case was originally rejected, and is now being appealed. This case is being treated as a test case, and has far-reaching consequences for the horse world. Mrs Goldsmith’s case was originally rejected on the grounds that riding is a risk sport, and as an ‘experienced’ rider she was aware of the fact that horses could buck, and was voluntarily assuming that risk. She’s appealing on the grounds that the horse’s behaviour was abnormal for the species and couldn’t have been reasonably foreseen. If the appeal is upheld, then potentially anyone who wants to sell a horse – or even allow a friend to ride – will be affected. We’ll have to check that the would-be rider carries their own insurance, can provide some proof of ability or is willing to sign a disclaimer – probably enough to put most people off. Insurance premiums will almost certainly be affected, and it may even cause more of our beleaguered riding schools to close down. My local riding school already has a huge waiting list, as it’s now one of the last schools in the area. It’s not beyond the realms of possibility that soon people simply won’t be able to learn to ride from scratch – as no-one will want to take the risk of teaching them. There are a lot of details about this case that don’t appear in the press stories, which I believe would have a bearing on the outcome. Mrs Goldsmith has described herself as an ‘experienced rider’, but she seems to have acted in a fairly naive way for an experienced person. Before going to see the horse, did she get the full details of how and why the previous owner had fallen and lost their confidence? Did she see the horse ridden by someone else? If no-one was available to ride, did she see the horse worked on the ground, or work it herself? Did she check whether the horse had seen a dentist, vet or osteopath, for diagnosis of physical problems? 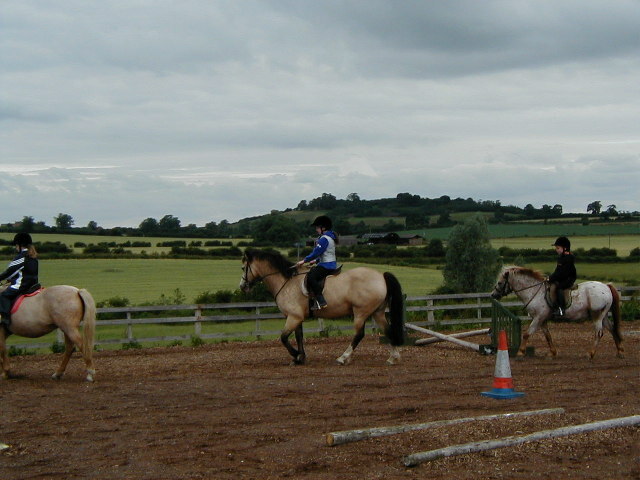 Any horse is capable of throwing its rider. 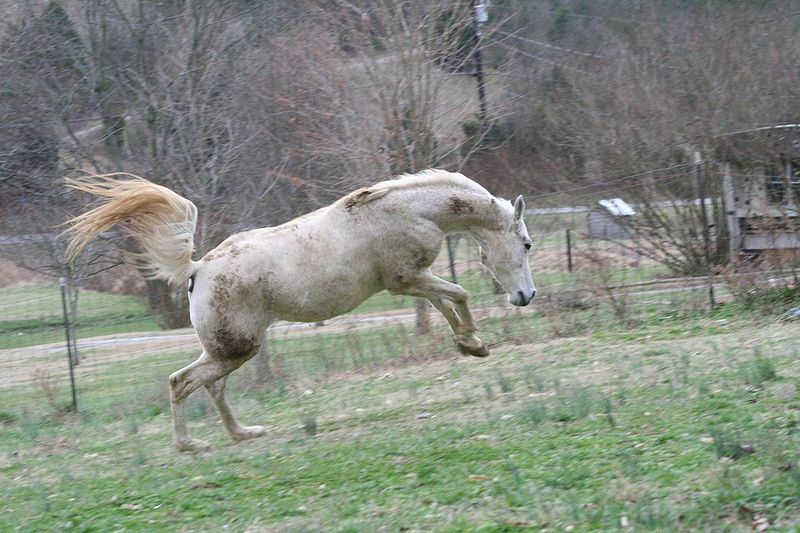 Any horse can react in an unexpected way. Any experienced person knows this. The way that this horse is described as reacting is typical of a horse in pain. Rearing is the ultimate refusal to go forwards, and is normally a reaction to fear or pain. The fact that the horse was then desperate to get rid of his rider is also a typical reaction. No horse is ever given away for free without an extremely good reason, and that fact should have made the rider more wary than usual, and anxious to extract a full case history. Mr Patchcock is described as the horse’s ‘keeper’ rather than owner, and in fact may not have known anything about the horse’s previous behaviour – which again should have made the potential rider more wary, and keener to see the horse worked first before getting on. I remember going trail riding in America a few years ago, and having to sign a disclaimer document that covered three pages of closely-written A4 before being allowed to ride a quiet, 27-year-old pony at a walk with a group of other people. If this appeal goes through, this could be the very tip of the iceberg. Of course, Mrs Goldsmith’s injuries were dreadful and extremely regrettable. But anyone’s fault? I don’t think so.